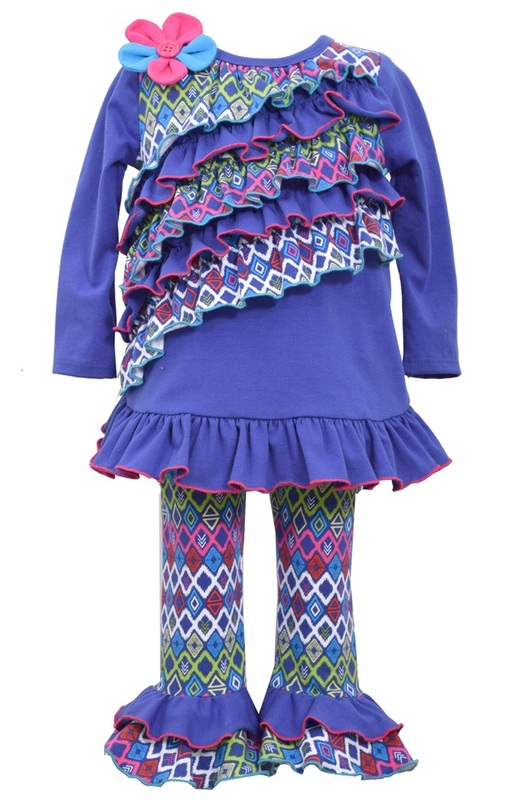 Long sleeved knit legging set with tribal print ruffle tunic and matching ruffle bottom stretch leggings. Cotton and spandex blend. Machine wash.